Soooo..... we kicked off the VC bike build this week with our build team of 7 ladies (soon to be 11 next week, who we’ll be introducing as we go along). 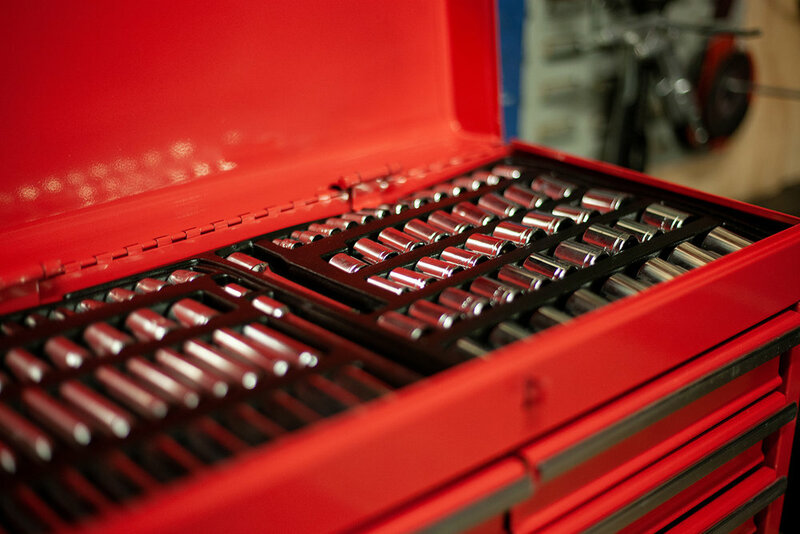 We’ve all got some pretty varying skills sets from engineers, designers and a few who have dabbled in bikes and cars before to total newbies to bikes so god know what we’ll come up with. 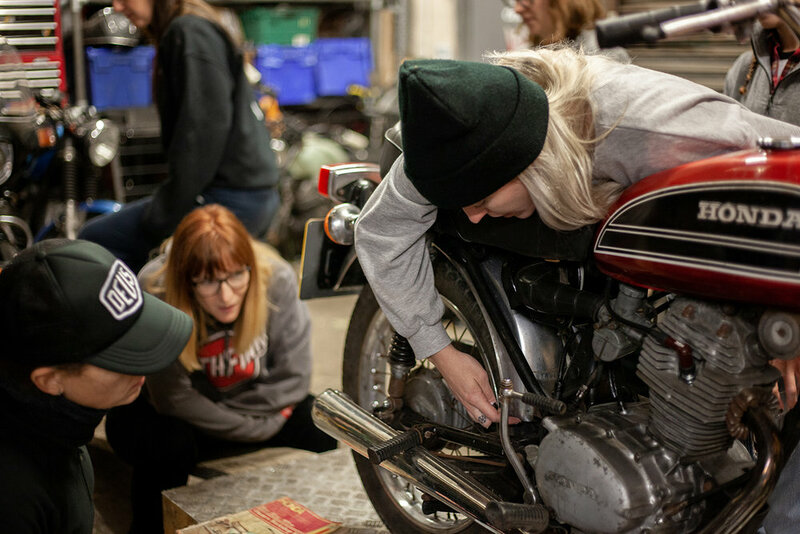 We wanted to start this build project as a way to get a bunch of like-minded women together and learn more about bikes and building but also a kind of how to for anyone wanting to give something like this a try themselves. We’re no experts but we’ll be given a helping hand along the way by some. 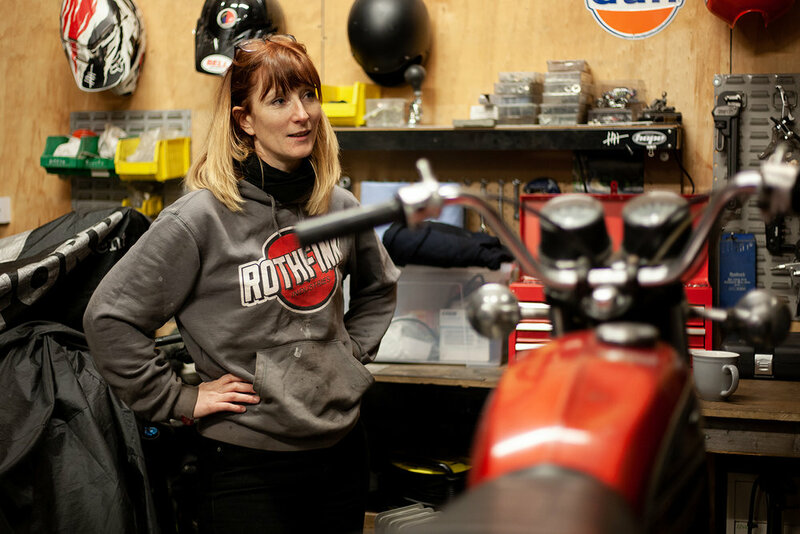 From professional bike builders and welders to mechanics and designers we’re gonna be picking their brains for advice and tips whilst sharing it all through our build blog … So keep up to date by following the build on here & on our insta feed! So here goes…. First up we started off by doing some of the really important stuff like making tea and cracking open the biscuits as everyone knows no bike has ever been built without these ingredients. 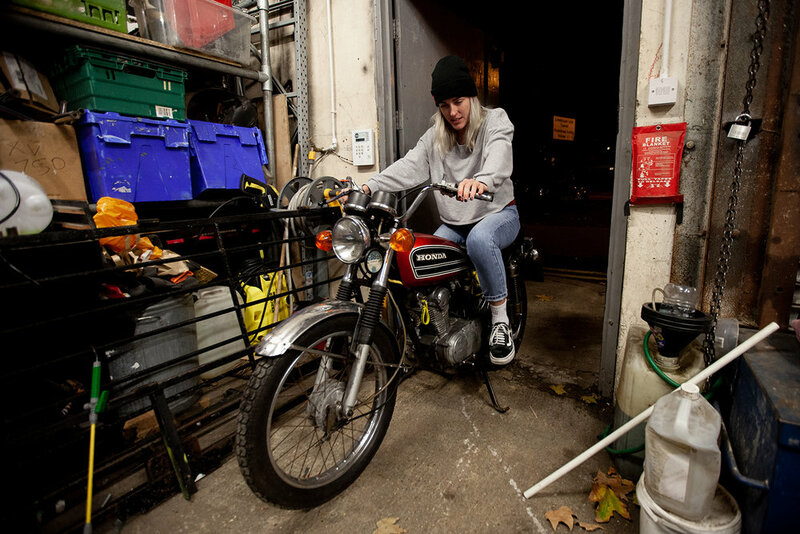 We’ve made a pretty conscious decision to use a small engine bike as we want to start with something accessible to anyone full licence or CBT (see our blog post on small custom bikes to get you started out in customisation and building) and the CB125 is a great little motor with some good framework off the jump. So, the moment of truth… Mäi had a go at starting her up... the results were bloody hilarious. 20 minutes, two layers of jumpers shed and a sore leg later and she finally decided to wake up. Boom! Result! The bike sounds good when running (a bit slappy but no knocks or grinding noises), runs through all the gears nicely and pulls pretty well. Wanting this bike to be a real community build from the start we figured the first part of the project was agreeing on just that. 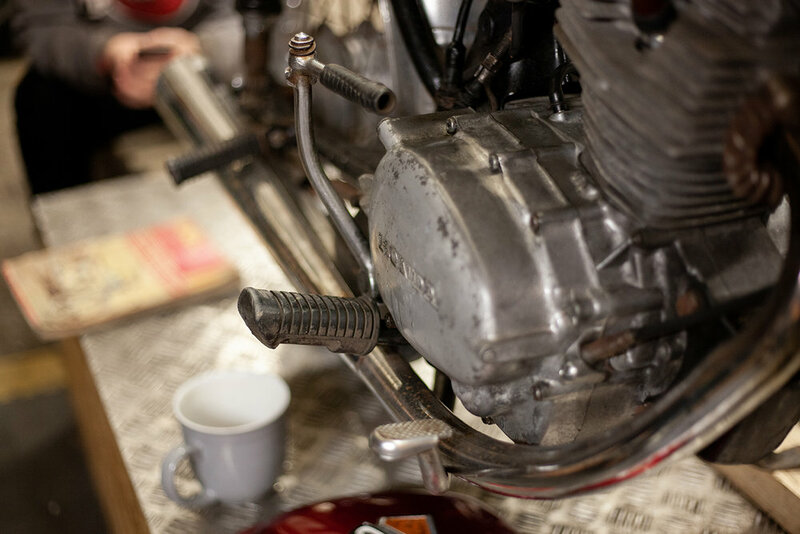 There were a ton of ideas thrown out there and we quickly realised we need some way of collectively collating inspiration and references so we can start to visualise the build before wildly tearing it down and grinding bits off . See if we can enlist the skills of someone who might be able to help create a CAD or illustrated visualisation. But if there’s anyone out there - get in touch! We’re all pretty stoked, there’s so many ideas out there, it will be interesting to see what we decide on as a group. Next week we’re going to start really comparing and discussing ideas, get our mood board together see see which direction this build is really headed.